Take a walk on the wild side… not sure what animal prints/exotics are right for you? 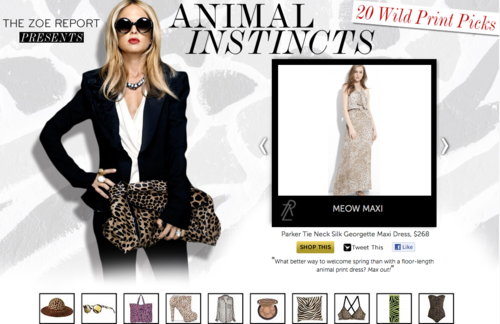 Rachel Zoe has selected 20 Wild Print Picks for you to look over for inspiration while shopping. Animal prints are always in style (especially this season), so check out her faves and go out and discover your inner animal.